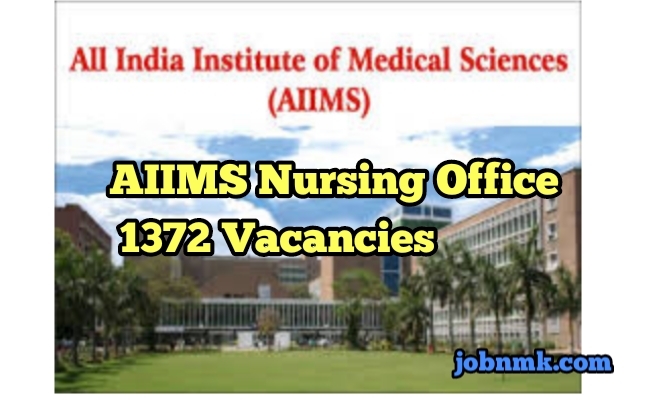 AIIMS Delhi Nursing Officer 1372 Vacancies latest jobs. AIIMS Nursing Offier Vacancies in Delhi. 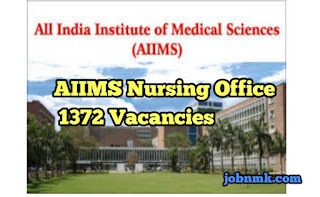 All India Institute of Medical Sciences that is (AIIMS) New Delhi has Invited Online mode Application Form for the Nursing Officer 1372 Posts in AIIMS Delhi, New Delhi. The Interested Candidates Can Read the complete Notification Before they Apply Online application form. Sc. (Hons.) in Nursing from any recognised University or Institute. Regular course in B.Sc. Nursing from any recognised University or Institute. Post Basic B.Sc Nursing from any recognised University or Institute. Diploma in General Nursing Midwifery course from any recognised Board or Council and registered as a Nurse or Nurse and Mid-wife with State department of Nursing Council. Two and half years of post-qualification experience should be in minimum fifty bedded Hospital. Candidates should Go through complete notification for detailed eligibility criteria. According to the norms of AIIMS. The Selection process will totally depend on the basis of Written exam only. First Go to the “Current Openings” and Select the desired post that you want. Read the information carefully before apply and Click on “Apply Online”. Click on button “Click here for New Registration”, if you are a new user on site. Complete the Registration and Click on “Submit” option. After candidates Registration, Log in with your Registered Number and Password. Fill the all mentioned details in the application and upload Photo, Signature. Application fee should be paid through Online mode and then Submit the Form. Take a print out of candidates Online application for the future use. So, We hope now you are aware about AIIMS Nursing Officer Vacancies of Delhi.